Well, the picture of the sandwich with the coleslaw looked so pretty and delicious. I decided to take a stab at the recipe. I ended up making a few modifications. I tasted it and was pretty darn proud of myself. What had I been missing for all these years? The trick is in the vinegar. I forget why I used rice vinegar instead of cider now – but it really is the difference. You’ll see. It’s even Honey Bear (HB for short) approved. As I was preparing it, I stopped HB as he was walking through the kitchen, and shoved a spoonful in his mouth. If my husband gives something a thumbs-up – it’s a keeper. And this received two thumbs way up. The whole bowl was gone that night. I think we even made it a couple more times that week. Even my little ones chow down on this slaw. 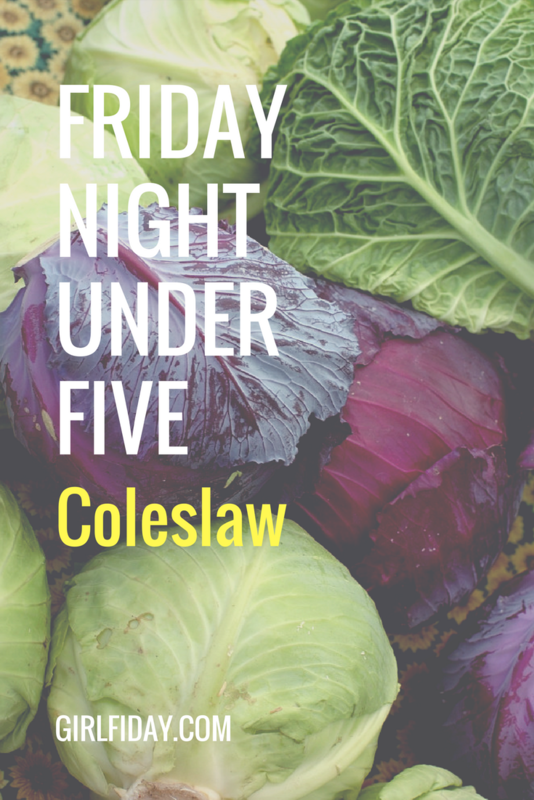 Have you ever heard of kids liking coleslaw? It’s almost miraculous. So here it is…it’s pretty simple. It is delicious on pork sandwiches and type of taco. I especially like it on fish tacos or sofritas. Its, drip all over your hands while you are eating it, good. Mix all the sauce ingredients together with a whisk and taste. Add more seasoning if you like. Serve immediately. (You can refrigerate for a little bit – while you are preparing other dishes, but I would not leave it in for too long so it doesn’t get soggy and wilted.) You want the cabbage to have a little bit of crunch. I hope you enjoy this one as much as we do.